The world's largest lithium-ion battery is now live in South Australia after being delivered a few weeks ago, easily beating the promise Elon Musk made of "100 days or it's free." The South Australian Government notes that for the first time, clean wind energy can be siphoned to the grid 24/7 improving the system’s reliability, whether the wind is blowing or not. The 100MW battery farm has enough storage capacity to power more than 30,000 homes. The launch today comes after a regulatory testing period that examined the battery's ability to both charge to, and from, Australia's National Energy Market and act as a generator. The NEM incorporates 40,000km of transmission lines and cables around Australia. 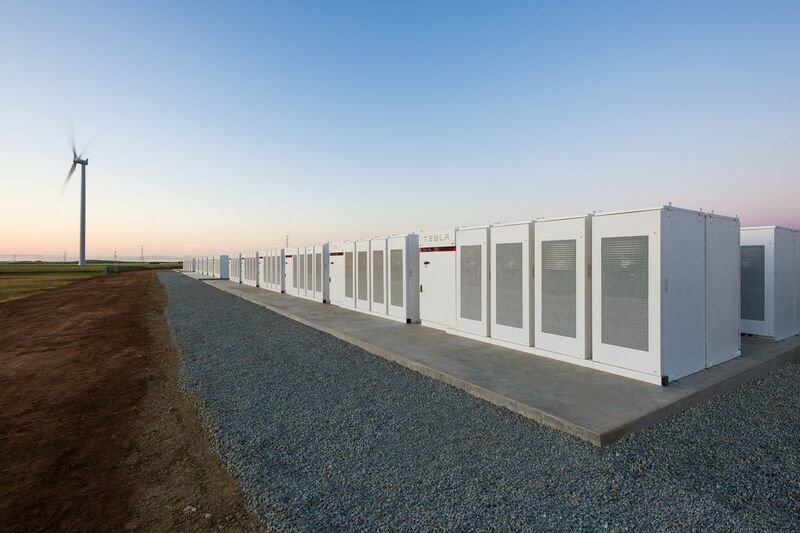 Tesla powerpacks were connected to Neoen's Hornsdale windfarm, several hours north of Adelaide. According to Hornsdale Power Reserve, the battery takes up less than 10,000 square meters of land. “The completion of the world’s largest lithium-ion battery in record time shows that a sustainable, effective energy solution is possible,” Tesla said in a statement. “We are proud to be part of South Australia’s renewable energy future, and hope this project provides a model for future deployments around the world. Tesla notes that the battery will help solve the state’s power shortage woes, and assist during summertime peak loads. South Australia has been crippled by energy problems, and suffered a state-wide blackout last September. That event sparked a highly politicized debate about energy security, with the Federal Government blaming the failure of renewable energy to cover usage, while others pointed to transmission lines and towers toppling over due to severe weather.